Money GO Rounds is a board-game that let you simulate life in the sharing economy. Money GO Rounds enables the players to lend or borrow virtually anything, directly from each other. Items lent can be bicycles, apartments, parking spots, storage spaces, DVD's, books and tools. Each player has available a certain number of resource cards. Every time he lands on an available advertising space he can advertise a specific resource. Each card has a price tag and a QR code on the back. When some of the other players land on that card, he will have to pay for the resource he is using. 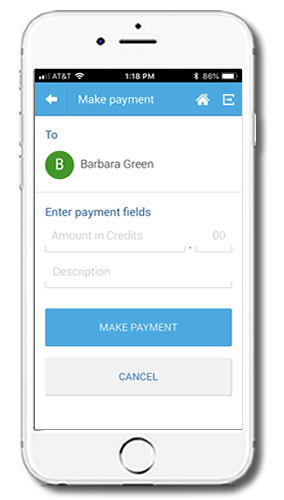 Payments are made using a smartphone with the Cyclos App. 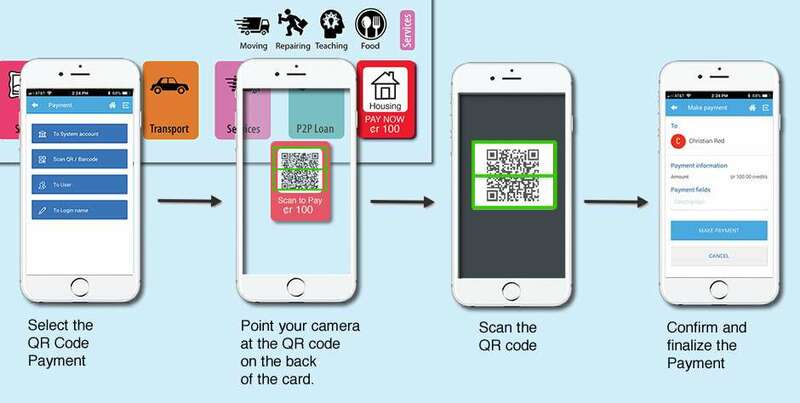 Once the player scans the QR code the payment goes through and the funds are taken from his account. The Cyclos App is used for making payments and for keeping truck of each player balance. The Cyclos App lets you access from the home page all the different areas where you can perform all the different operations. 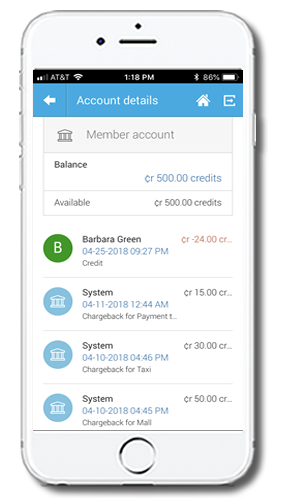 It allows members to pay each other, view their account information, search other members, manage their contacts, read system messages and view their profile information. Account Balance allows each player to check his credits balance, it lists all the different transactions made during the game. Payment allows each player to pake payments, using the QE code or the player user name. Show QR code allows each player to show his QR code to othe players, in this way the other players can make the payment. Contacts shows the list of all the players. Account Balance allows each player to check his credits balance, it lists all the different transactions made during the game. Check your account balance and check your payment history such as sent and received payments. 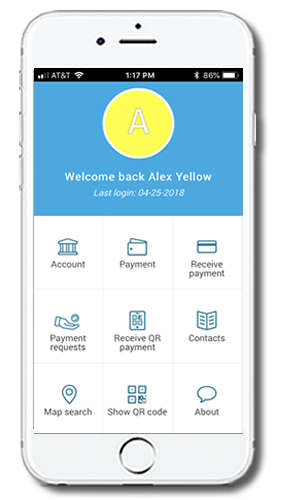 In this page a summary of your account is shown first, showing the accounts balance, followed by a list of all sent or received payments. When you have paid another player the amount is shown negative in red. When anotheer player paid you, the amount is shown positive in blue. When you click on these payments the payment detail page will be opened, which shows more information about this payment. Make Paymentsi s used for making payments to other accounts. To make a payment you have to select first to whom you want to make the payment. If you have to pay for the Taxi, the Hotel or something you buy at the mall, select system. After you have selected to whom you want to make a payment, fill in the necessary fields, price and description, click on Make Payment and confirm the payment.